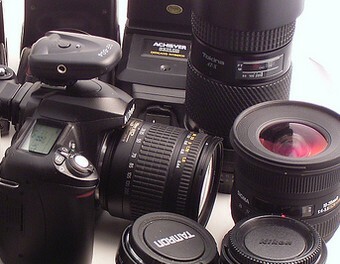 DSLR Camera and Needed Accessories seems not heavy from the title but which accessories are must, which one should be added later have to be understood by the user. Most Digital Photography related websites earns few thousand dollars to few millions per month just because of pushing the link to affiliate websites. It is probably even better to rely a sales girl than many blogs when it comes about buying accessories for your DSLR Camera. Here is the logical approach in this article titled DSLR Camera and Needed Accessories to create a to do list customized for your need. An unrelated topic to DSLR Camera and Needed Accessories : we all in this world should learn the good from each other region or country. The method teaching is probably the best of US which is actually followed in most civilized countries, even the text books are the same in some professions, like mine. In the same way, an average Indian has a good habit of purchasing lifestyle or consumer electronics on debit not on credit card. As the money is not virtual, the ‘weight’ of earning can be felt by the consumer. You bought a lens hood out of craze and repented when paying your credit bill as you understood it is another junk in your house, simple over pressurizes you to work more to gather more money. Has system of social culture of buying can not be changed from credit to debit in one month or rather the flow of economics can not be changed, for this article on DSLR Camera and Needed Accessories, specially for buying DSLR Camera Accessories, we will ask the readers to create a simple hand written notebook paper based chart with three columns – name of the accessory, your reason to opt for it and the price. Read articles for your needed accessories, from our website, wikipedia and other reliable sources and decide how to buy or rather whether you will buy it at all. An easy example is of Tripod. Tripod in Digital Photography has a great influence on quality. I personally think it is a must part for composing a image just the best to my effort level, simply because it is a faithful stand for my thousand of dollars camera. Most uses own car to move here and there. A tripod will not increase your load. For example, if you want to take a photograph of you and your girlfriend, with a mountain in background, it will be the most faithful friend. Even if you take your girlfriend’s photo, this friend will assist you to take the shake free image without holding your breath. A Digital SLR is an integrated computer mounted behind the lens, you are an young person and there is no need to hear a 65 years old person who used film camera for past 25 years, just for the reason, he will try to make the computer use like a calculator. The thought about tripod for you might be different than that of me. You might not need it at all for one reason or the other. But keep in mind – shutter clicking does count. One day the shutter actually get retired, there is official spec of the count. So try to keep it towards low by avoiding 20 click efforts with blurred images to get one clear photograph. Most effects like bokeh are not composed well without stabilizing the camera. The most important must have accessories comes free with most DSLR – the neck strap. There is no need of buying a special camera bag, you can yourself convert a good bad to a supportive camera bag, save that money for your other work in life. There are many such things, Flash Units are useless for the most in real life because of its weight. Among the Camera Accessories, the probably never counted but important part is Adobe photoshop. It is actually such a versatile software, it is difficult to find an alternative for Adobe Photoshop though we listed before some. A piece of non reflective which cloth is very important as backdrop, it is you innovativeness which actually define which you need and which you have a shortcut. Digital Photography Basics is the key for taking better Photograph. Digital Camera’s technical part is explained in plain English. Transfer Printed Digital Photo on Wood, Metal, Glass, Stone in Easy Steps than you actually think of. This is basic way how replica of canvas art are created. Cite this article as: Abhishek Ghosh, "DSLR Camera and Needed Accessories," in The Customize Windows, October 15, 2012, April 23, 2019, https://thecustomizewindows.com/2012/10/dslr-camera-and-needed-accessories/.